Another work week just started. Glad that work has been easier to handle. Went to get lunch with boss. $3 Char siew rice. Made 2 drinks with boss at tea time. Your tea time is my alcohol time. I am sort of learning bartending. Can be fun but lots of things to wash at the end of the day. If I am going to do this everyday, sooner or later I will be an alcoholic. 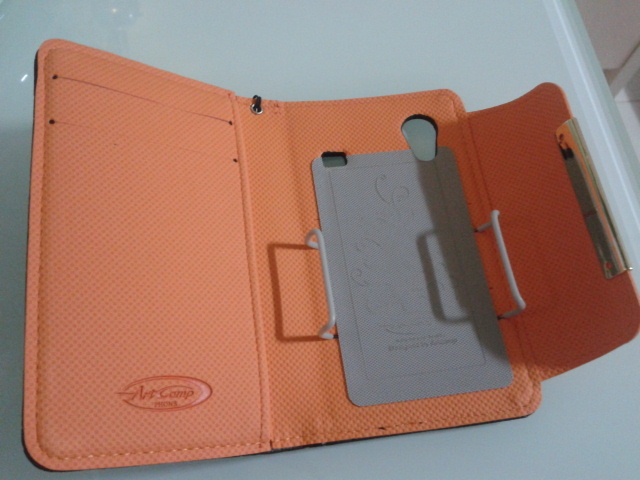 Received my new handphone leather casing. If you see carefully, there are repeated black cats on the exterior. 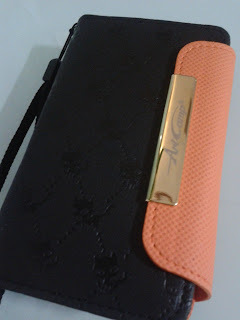 The orange sides are easy for me to locate my handphone in my deep black bag. The interior has 2 small openings and 1 big opening for cards and cash. I can even save the hassle of bringing a pouch. In case you are interested in getting what I have, here's the link.